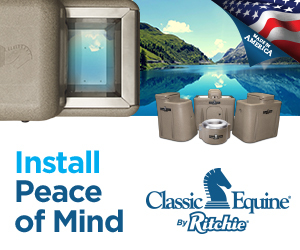 There’s never a shortage of chores to do at the barn—but if you work smart, you can spend more time in the saddle! 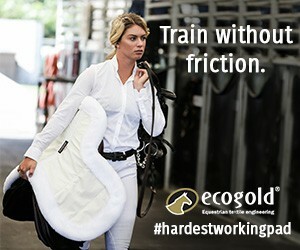 Managing the wardrobe changes of your clipped horse can be confusing. 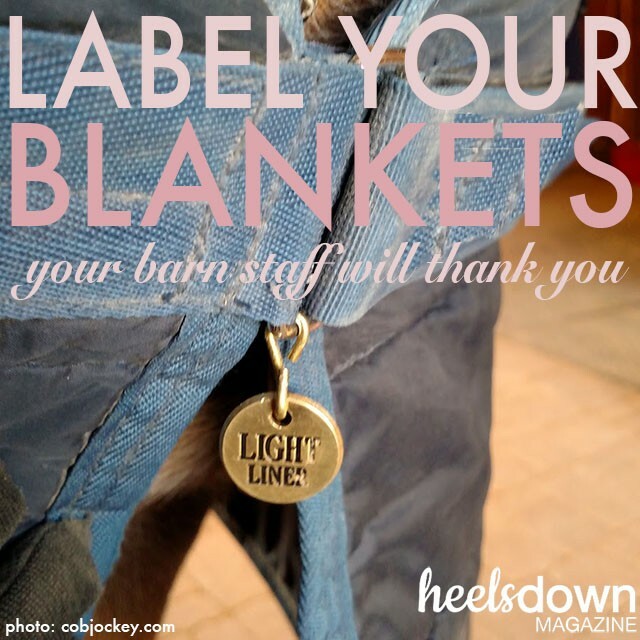 Make life easier for barn workers by labeling each blanket “Light,” “Medium,” or “Heavy” with a brass dog tag, available from any pet store or online. 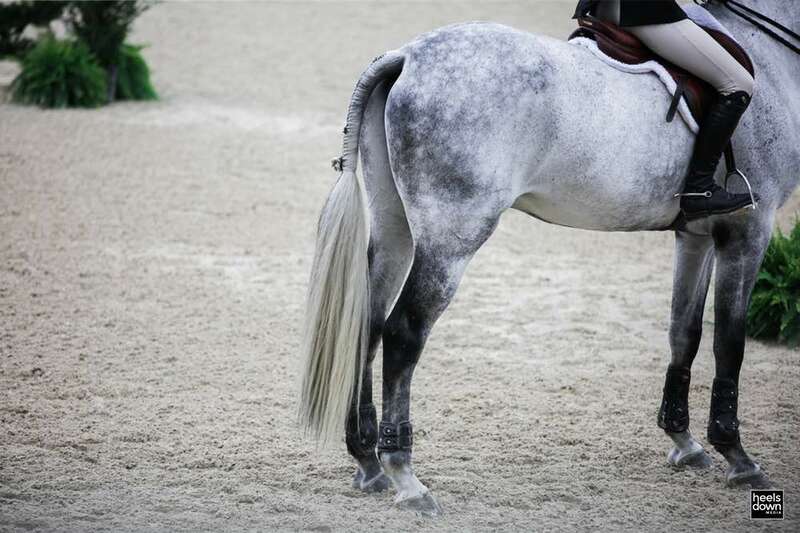 You can even add an extra tag to go fully custom with monogram options at sites like Swanky Saddle. 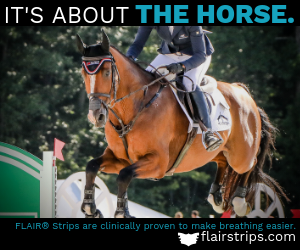 That beautiful, fleecy pad is soft as a cloud in the tack shop…and somehow after it air dries from the first wash, it’s as limp and depressing, like a North Face past its prime. Don’t worry—you can revive the fluffiness with a cat or dog slicker brush. 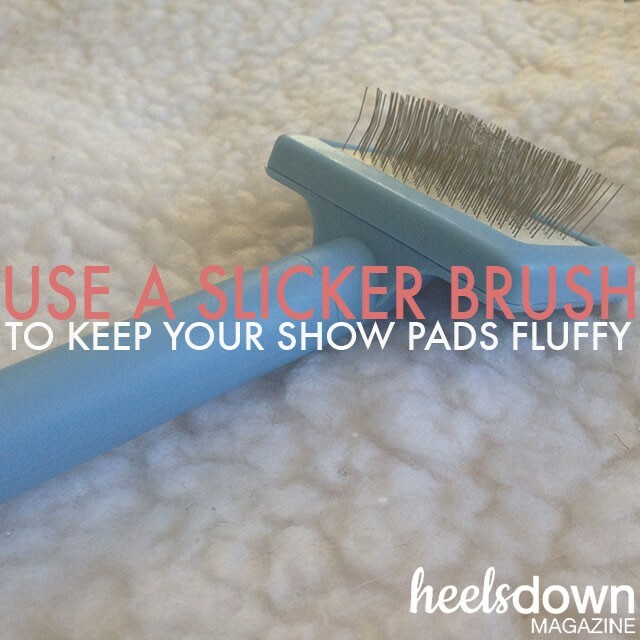 Use quick, small flicks to catch and fluff the material without pulling it out. 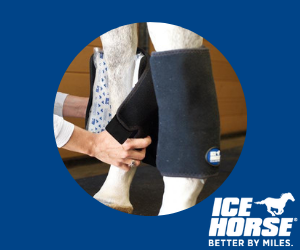 Using fleece-friendly washing detergent like Melp or Leather Therapy Laundry solution also helps to make your pads last longer. 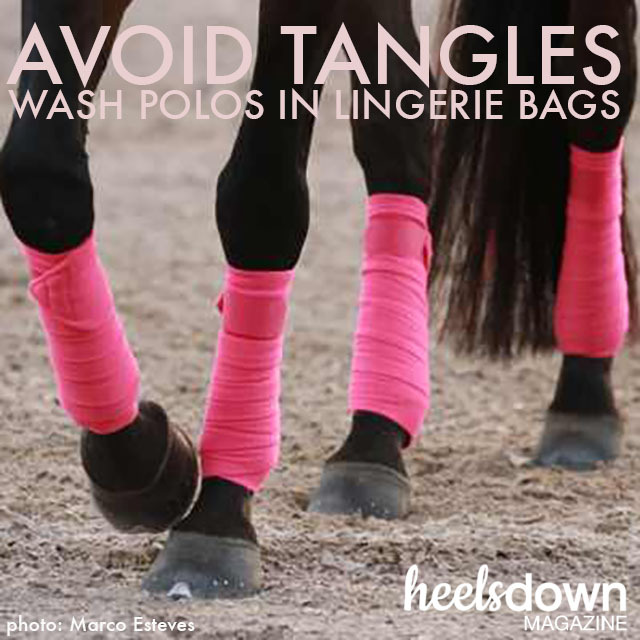 If you use polo wraps, you know what a pain it is to wash them and find a rats’ nest of tangles in your washing machine! Instead, throw your polos in a mesh lingerie bag like this one with four compartments (one for each leg)!